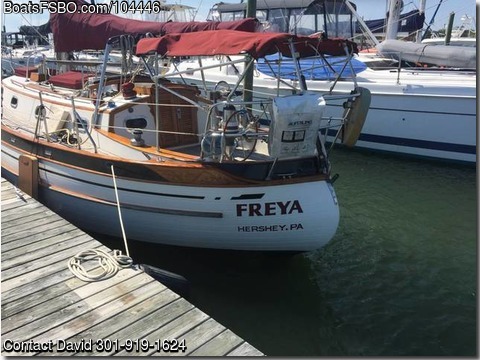 Boat is located in Cape Charles,VA.Please contact the owner @ 301-919-1624..Great Off shore cruising boat. Saltwater and Freshwater system. 3 burner propane stove and oven. Marine head with new holding tank. Cable TV hookup and antenna. Sails in good shape with covers. Modern GPS system, depth gauge, fish finder, etc. Located in Cape Charles Harbor.